This strategy proposes the design for a public-private partnership (PPP) to address the challenges that hinder implementation of palm oil mill effluent (POME)-to-electricity projects in APEC economies. Intended audiences are the stakeholders that form the core of the PPP: palm oil mills, financial institutions, governments and government institutions, donors and funders, developers, and technology and service providers. 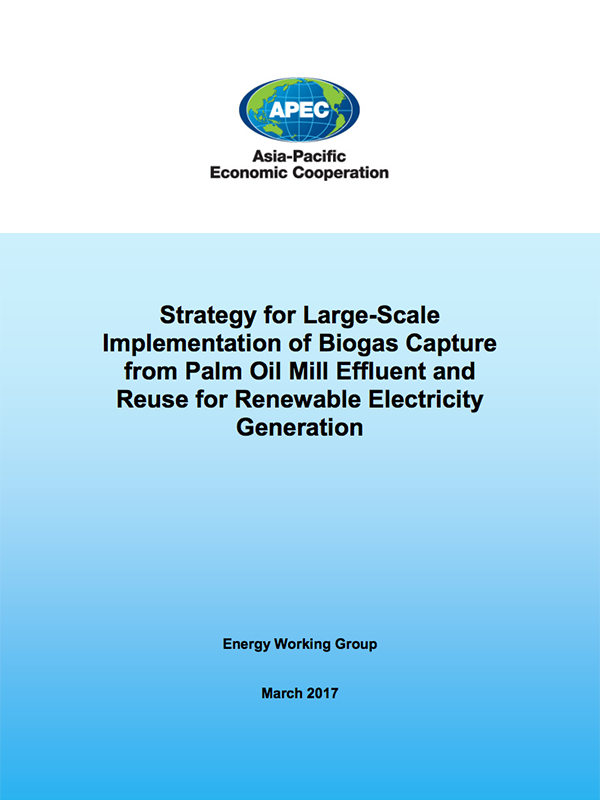 The PPP would finance and implement biogas capture for renewable electricity generation at large scale encompassing a significant portion of the APEC region’s palm oil mills. This strategy can result in more environmentally and economically sustainable growth and lead to electrification of remote communities surrounding palm oil mills, which can foster increased productivity and economic empowerment for the people in these communities.